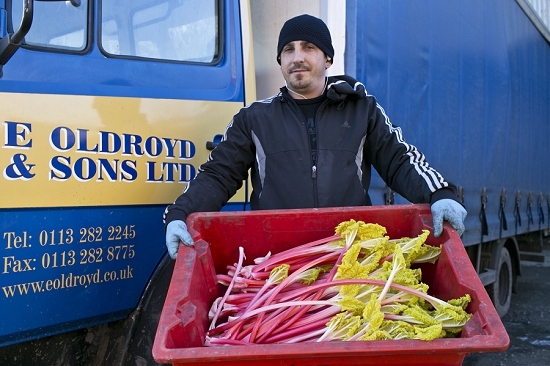 At this time of year, the shocking pink stems of forced rhubarb are by far the most dazzling crop on the Market. The story of this remarkable product, grown without light, involves a trip to the frosty fields of West Yorkshire. 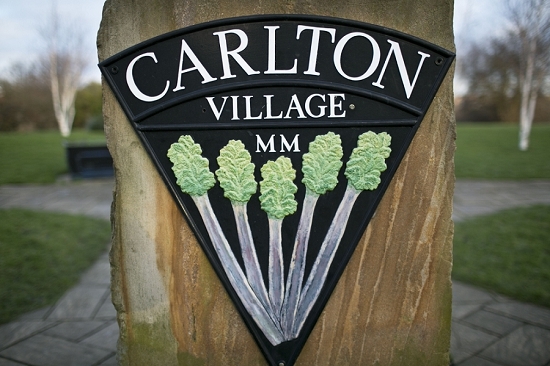 Nothing beats the quality offered from the so-called 'Rhubarb Triangle', a small area of nine square miles, although the Dutch have also carved out a slice of the trade. "There's an awful lot of growers up there," explains Eddie Barrett at H G Walker, a wholesaler on the Market. "And they are all good." 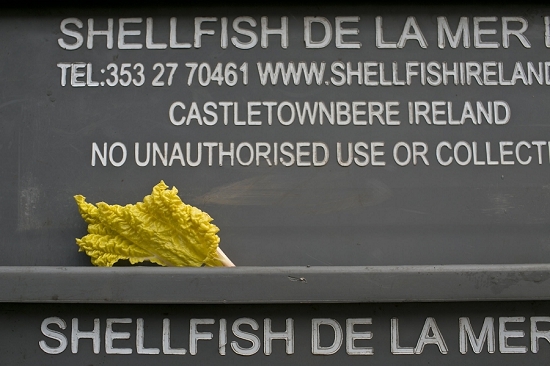 The product was granted Protected Designation of Origin (PDO) status in 2010. 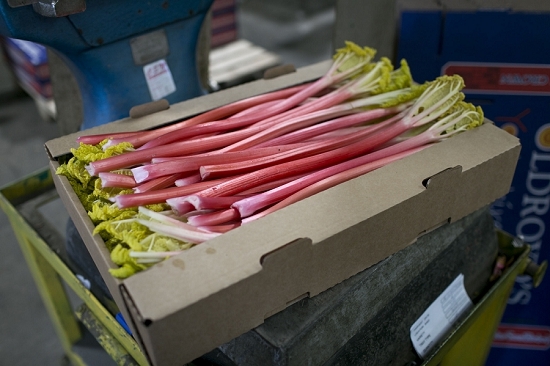 Forced rhubarb is famous for its neon pink colour, tender stems (actually 'petioles', botanically speaking) and low acidity compared to outdoor-grown rhubarb. 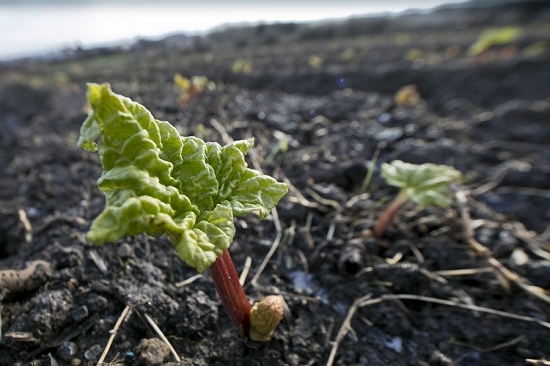 Forced rhubarb has proven health benefits, too. The petioles contain ideal levels of oxalic acid, which helps to cleanse and detoxify the body, and high concentrations of polyphenols - special molecules in plants with powerful antioxidant properties. 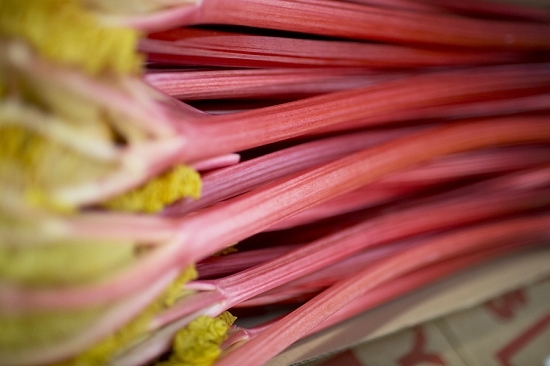 "My sons are the fifth generation in rhubarb," says Janet Oldroyd Hulme. "We have been involved in agriculture … as far back as we can trace." Her father arrived in the area in the 1930's. "He had lost everything in the depression and came up here to start again." 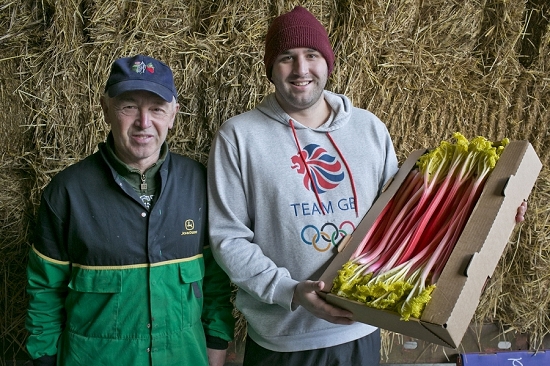 Their firm now manages more than 200 acres of open land, including seven forcing sheds for indoor rhubarb. 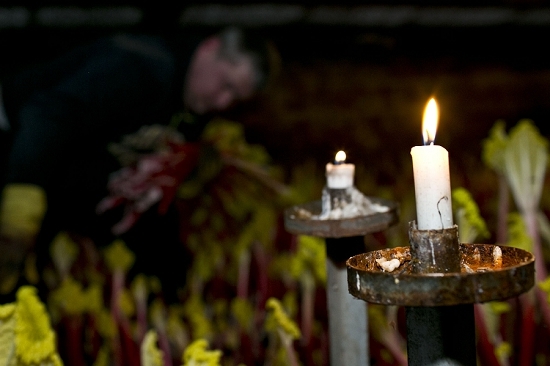 They use nine different varieties of rhubarb plant to stretch the season. The forcing process was first discovered in 1817 in Chelsea Physic Garden. 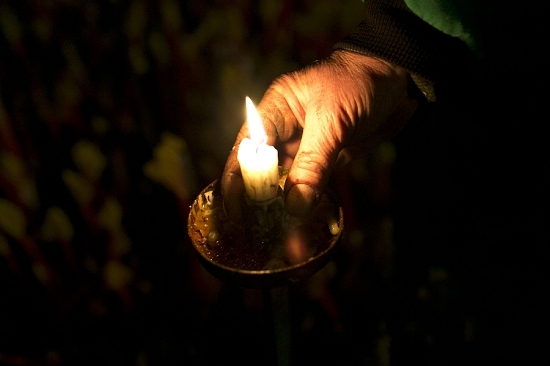 The plant, which originates from Siberia, was previously used as a medicine. "It was the wonder drug," explains Janet. "They used it for anything and everything. Its use goes back to 2700 B.C." 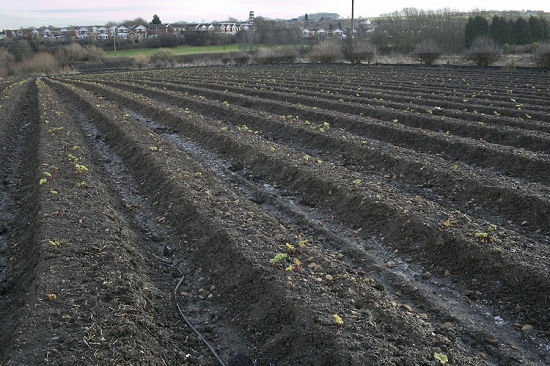 In Yorkshire, rhubarb destined for the forcing sheds is grown in open fields for two years in order for the root to store up energy for the forcing process. The root systems are then carefully lifted and moved to the insulated forcing sheds. "Some of the roots systems in Yorkshire can take two men to lift them," chuckles Janet. Once they have packed the sheds with up to 15,000 roots, the growers simulate the arrival of spring. "Everything we do then is a trick," explains Janet. The sheds are heated, for example, to mimic the arrival of spring. Sprinklers are also used. "Spring rain helps the plant grow and wakes it up – so we are going to provide that," says Janet. The atmosphere of the sheds is unique: warm, humid and sonically bizarre, marked by the squelch of boots in the soil and the snap, snap, snap of the picking process as the petioles are tugged from the root. All is not well, however, for the growers in Yorkshire. A warming climate poses serious problems for a plant that requires freezing temperatures to trigger it into dormancy. "Nature has just turned on its head unfortunately," says Janet. Her father, for example, finished harvesting outdoor rhubarb in August. His first forced rhubarb crop arrived before Christmas. Now, because of milder weather, the Oldroyds were cropping outdoors throughout October. 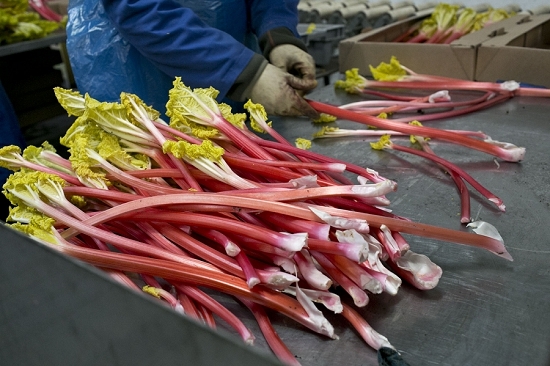 Their season for forced rhubarb is now shorter, too, and runs roughly from mid January to March. "What are we going to do about lack of frost?" asks Janet. "Are we going to have to start chilling the roots? 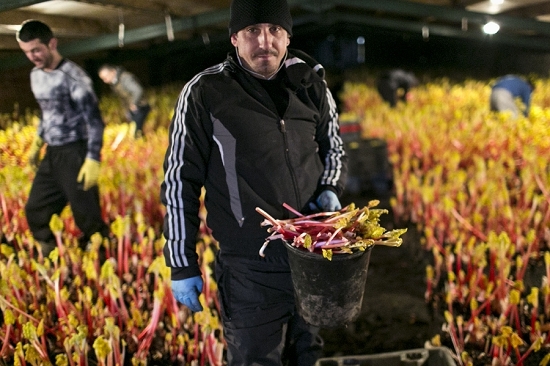 If this way of production has a future - and it must have, particularly because of the health benefits of forced rhubarb – then we have to solve it." Chilling the roots artificially is one option, although it will add costs to what is already a very expensive process. "There isn't an unlimited amount people will pay for rhubarb because it is healthy," says Janet. 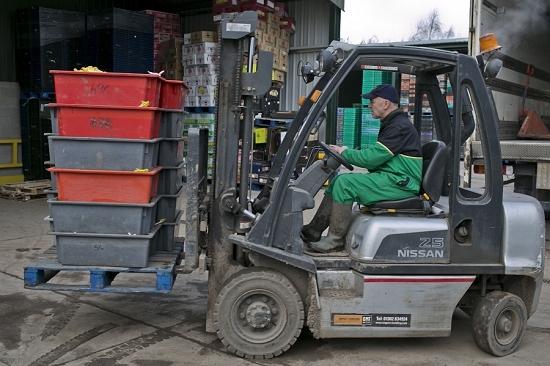 With energy costs spiking in recent years, the cost of heating the sheds is another challenge. Wind turbines, solar panels or anaerobic digesters are possible options. "My father would be very worried now if he was here - I know he would – but he loved a challenge," says Janet. "It's like there are problems thrown at each generation to solve." 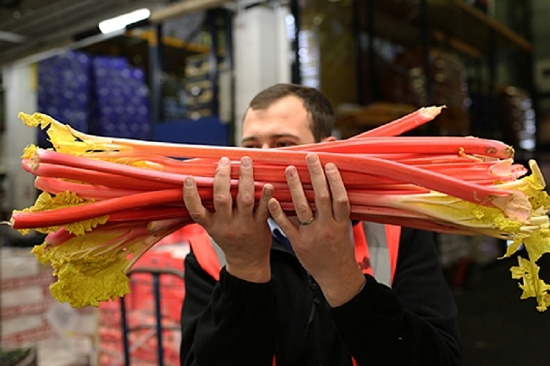 Wakefield Food, Drink and Rhubarb Festival takes place on the 20th February.